We recently spoke with Sheva Carr, author, speaker and Doctor of Oriental Medicine, about the importance of becoming a resilient person to overcome the physical and psychological effects of stress. Ms. Carr is an expert HeartMath® trainer and coach, as well as founding CEO of Fyera! / Heart Ambassadors, and a delegate to the United Nations for Pathways to Peace. In her role as the architect and director of HeartMath’s HeartMastery®Program, she speaks to people all over the world on how to access heart intelligence and peace of mind to achieve a positive impact on their relationships, health, performance, creativity, contribution, legacy, social change, and the building of a global culture of peace. Q: What is resilience and why is it important for health? Sheva Carr (SC): The simple definition of resilience is the ability to spring back into shape or the capacity to quickly recover from difficulties. For each of us, there is an optimal state of wellbeing that serves as a baseline that the body and mind want to return to. Illness and the stress of our modern lifestyle pull us away from this healthy baseline. From a physiological perspective, stress is an emotional reaction, not a circumstance. That reaction triggers an increase in the production of stress hormones like cortisol, and creates a fight or flight reaction in the nervous system. That’s a useful response when you’re in danger, but the emotions evoked by being stressed by work, relationship difficulties or bad traffic produce the same physical reaction that being chased by a bear does. It’s essentially like calling an ambulance to go to the grocery store. It’s not the appropriate physical response to the situation and, over time, it makes us less resilient. We’re depleting our mental, emotional and physical resources when we react that way day in and day out. This makes us susceptible to a wide variety of health problems—diabetes, heart disease, early aging, depression, Alzheimer’s disease, migraines, and many more. The American Institute of Stress states that 75-90 percent of doctor’s visits are stress related. Q: How does one build resilience? SC: HeartMath has developed simple but effective techniques and tools to help people manage stressful emotions and build resilience. Our emotional states are reflected in our heart rhythms. When we are stressed or upset, the rhythm is disordered and our biological systems do not work in concert. But when we learn to self-regulate our heart rhythms through feedback, guided techniques, and exercises that help us achieve a state called physiological coherence, we are able to change our response to stress. All of our body’s systems work in synch. The production of the stress hormone cortisol is reduced, the production of the resilience-building hormone DHEA increases, immune function is enhanced, blood pressure is regulated, we gain access to our higher brain function and situational awareness, and many other benefits. This is valuable every day, but it can be particularly helpful when you’re dealing with the stress of a health concern. When you gain dominion over your stress reaction to your health concern, you’re better able to make good decisions and your body is better equipped to heal. Q: Are there other benefits to achieving coherence? SC: Most of us know what’s good for us—what we should be eating, what habits are healthy and positive, that we should get regular exercise. The problem isn’t knowing what to do, it’s following through and doing it. When you’re able to self-regulate your heart patterns, your behavior becomes more harmonious with your intention. It helps you follow through without needing to rely on will power or coercion to regularly take those positive, healthy actions. Self-regulation also provides you with a tool for on-the-spot stress reduction. 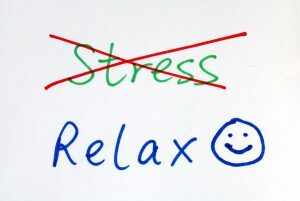 Rather than being stressed in that traffic jam, in front of an audience you have to address, or in an exam and then going home and working out or meditating to recover from the effects of stress, self-regulation gives you immediate control over your stress response. This frees up energy so that you can respond to and invest more time and energy in the things that matter to you and that you care about, since you don’t have to expend all your energy just to make it through the stresses of the day. Learn how a health advisor can help you find the tools you need to manage stress and improve your health and wellbeing. HeartMath is a registered trademark of The Institute of HeartMath. HeartMastery is a registered trademark of HeartMath LLC.